At Wit's End: The Big "Hack" Opening Day Giveaway! The Big "Hack" Opening Day Giveaway! Your chance to read a story that I'm very proud of, for absolutely NOTHING. 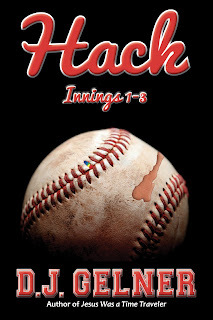 I'm giving away my book, Hack: Innings 1-3, FREE, today and tomorrow, in honor of Opening Day. I guess technically it was available for free yesterday, too--thanks to all of you who have already downloaded it, and made Hack: Innings 1-3 the #2 ranked free sports fiction book on all of Amazon. But unlike Jimmy Clausen, I'm not content to settle for number two. I've spread the word to some sites that will do the same in kind, but I could use your help. I mean, it's FREE. No catch. No risk. Absolutely FREE. If you have a Kindle, download it today and take a look. 2. Share the post on my Author Facebook Page. Did I mention that I have an author Facebook page now? Well I do. It's right here. I made a post to help spread the word, and if you click the "Share" button, I'll enter you in a drawing for a free $20 Amazon gift card. Not bad, eh? Who would've thought you could profit from reading this blog? 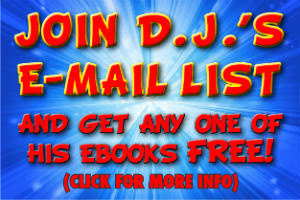 So share the post on the Facebook page, be entered to win $20...also for ABSOLUTELY FREE! Let's say you download the book and read it. First of all, thanks! Very grateful that folks even do that much. But if you really want to help out, you'll leave a review on Amazon. All I can ask is that you leave your honest opinion, but folks who really enjoyed the book would be much appreciated. Goodreads has been in the news recently because Amazon just bought them, and a lot of indie authors are running around saying the sky is falling because of it. I still think it's fine, and if you enjoy reading, it's a cool way to connect with other like-minded folks. For authors, it's come to my attention that once a book gets a little over 100 ratings on Goodreads, the site starts recommending it to others more easily. If you do download the book, add/rate it on Goodreads. Reviews are also always appreciated, but it's my understanding that the rating is the key thing. And if you've read my other stuff (namely Jesus Was a Time Traveler), feel free to rate it, as well. Again, looking for your honest opinion, but every rating/review helps. More than any form of entertainment, books rely most on word-of-mouth. If you like what I'm writing, tell a few like-minded friends. If they don't get in on the giveaway, I'm planning on lowering the price to $0.99 afterward, so the risk is still minimal. Or if they really want to try before they buy, direct them to this blog, which remains (and will always remain) absolutely FREE. So there you have it. Check out the giveaway. Forward it to your friends, neighbors, and enemies. And, by all means, enjoy Opening Day!